selections from the salsa bar at Los Torres. 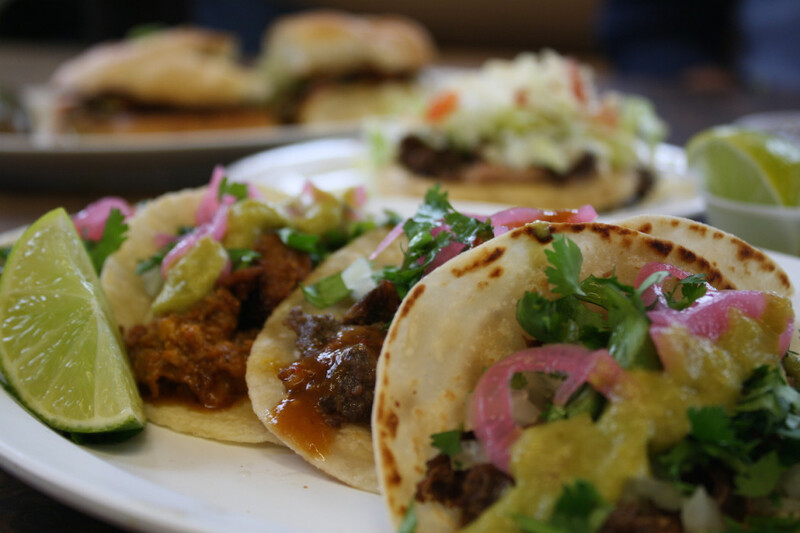 Birria, Barbacoa, and Cecina tacos from Los Torres in Oak Cliff, TX. 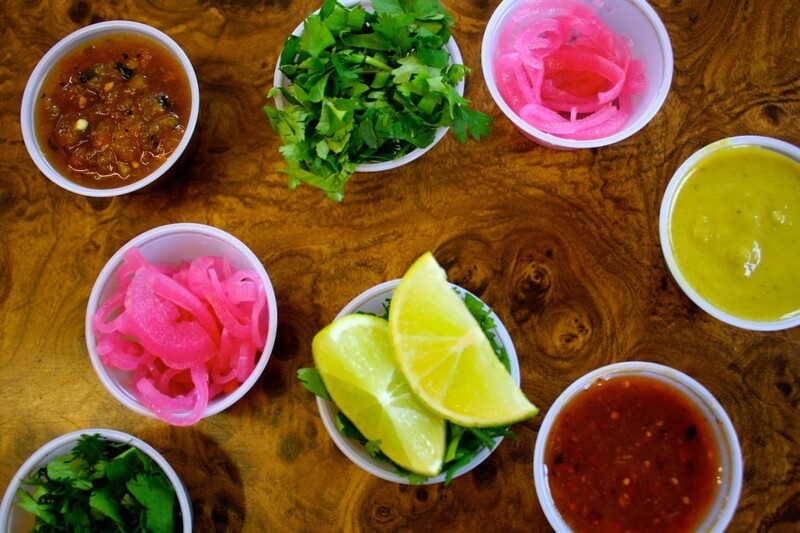 While the tacos at Los Torres stand just fine on their own, the salsas can too. 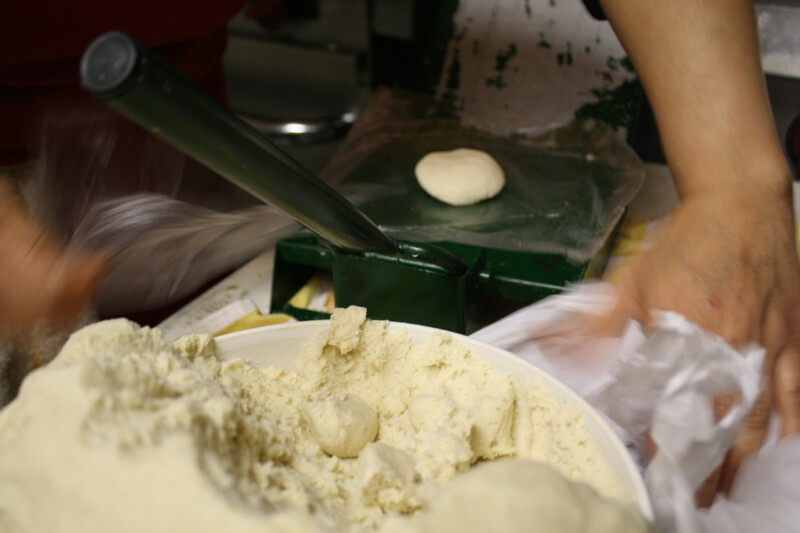 The balls of dough are rolled by hand and pressed flat on a simple metal tortilla press. Birria (goat), barbacoa, and cecina tacos with all the compliments from Lost Torres in Oak Cliff, Texas. 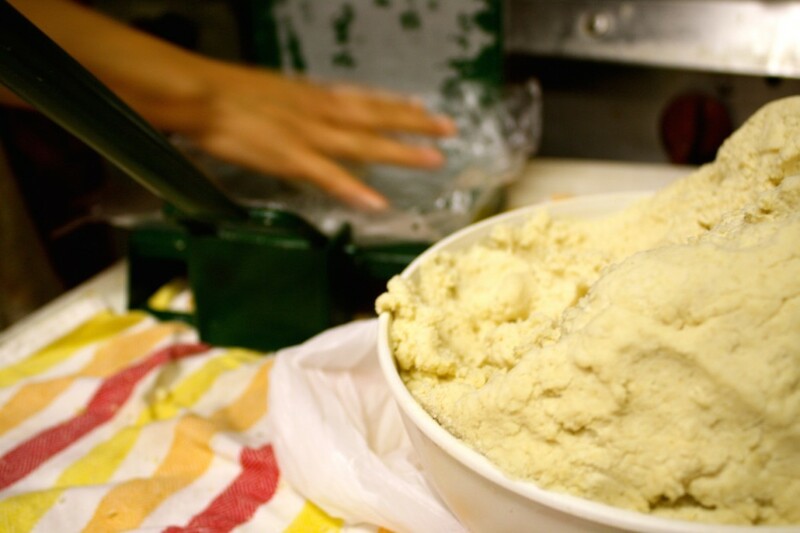 Hand-made corn and flour tortillas make all the difference. The salsa bar at Los Torres. Hello, my name is Thomas Simpson…and I was born a barbecue bum. My mama was wiping sausage juice off my doughy cheeks with Mrs. Baird’s while I was still drinking Big Red from a baby bottle. 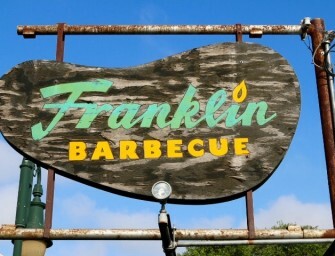 In trying times, fatty brisket was my manna. Being from North Texas, I was used to looking south to find my promised land, in the Hill Country, but as my palette wandered southward, more and more my attention turned to the perhaps now dominant indelicate delicacy of this, our state: the taco. Alas, BBQ has become a tender and forgiving cuckold for me now. And so, I embark on a bold undertaking- to venture somewhere that hopefully not all of y’all have ventured before: to greasy carnicerías; to beige strip malls bubbling with vivid red juices; to every purveyor of pungent protein I can manage, just to talk with y’all about the tacos of Texas. 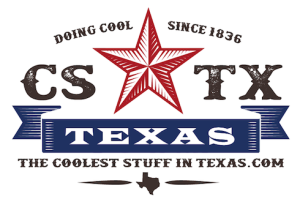 This spiritual commitment does not include a non-compete clause between the two great gastric employers of Texans, however, and I imagine together we will learn more about the evolutionary Texican ancestors of Lone Star barbecue and many types of tacos. 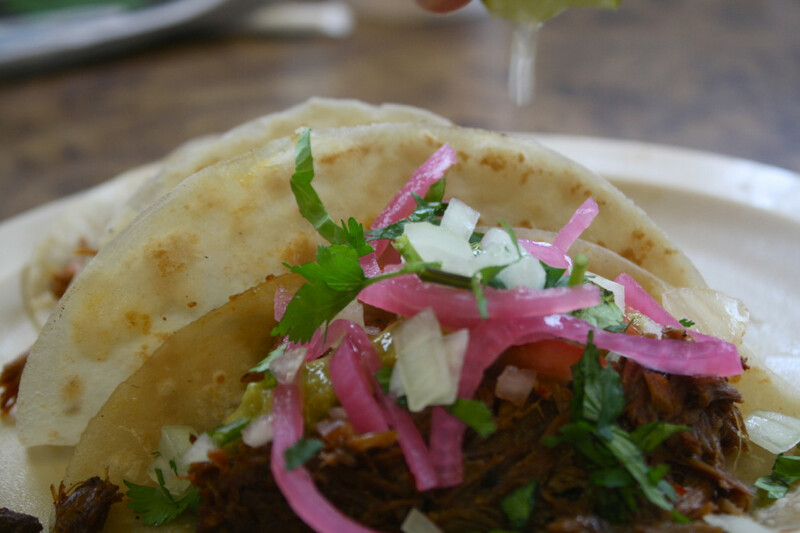 Nevertheless, I am an initiate of the order of the taco – and I don’t mean “dos pastor, dos carnitas, maíz, con todo, y una coca para aquí” – I mean the sacred order of the taco. That stripe of Texan that scours gas stations on a full tank looking for a perfect fix. I wrote my college admission essay on Super Mercado Mexico #4’s offerings. I got in. More taqueros than cousins get Christmas cards from me. Now let’s get you some credentials. 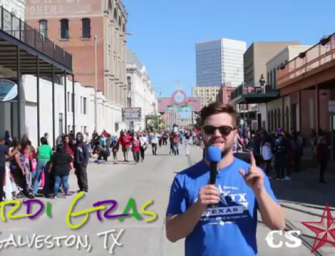 I plan to rap with y’all a bunch about tacos, but this space isn’t all about gut busting. It’s about gut busting and friendship. Gut busting, friendship and learning. Food is both a great unifier and a persistent carrier of identity; it is clear, then, why food is so important in the state that means friend and where heritage and diversity are equally omnipresent. Tacos have a lot to teach us about Texas, its cities and neighborhoods, cultures and traditions; its roots and its direction. We begin our journey on January 2, 2015 in Oak Cliff, Texas; taco black hole. This is not an insult. Very little light from the outside shines into the Cliff’s spectacularly dense landscape of meat, situated south of downtown Dallas, and once drawn in no appetite can escape. Many eaters only reach the event horizon, Fuel City, a taco event indeed and a Texas icon, although one pushing an inflated product. 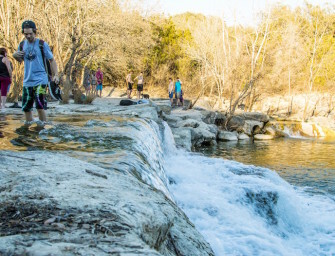 The trip across the Trinity River is worth it, with or without a seasoned guide. 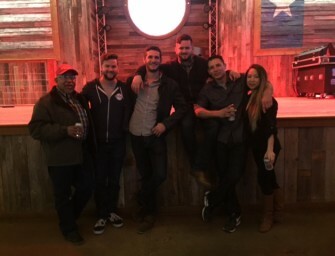 This particular adventure began with our three heroes in a sad, vulnerable state, having split the first 48 hours of 2015 between a barstool and a couch. What better way to awaken our senses than piquant chiles? 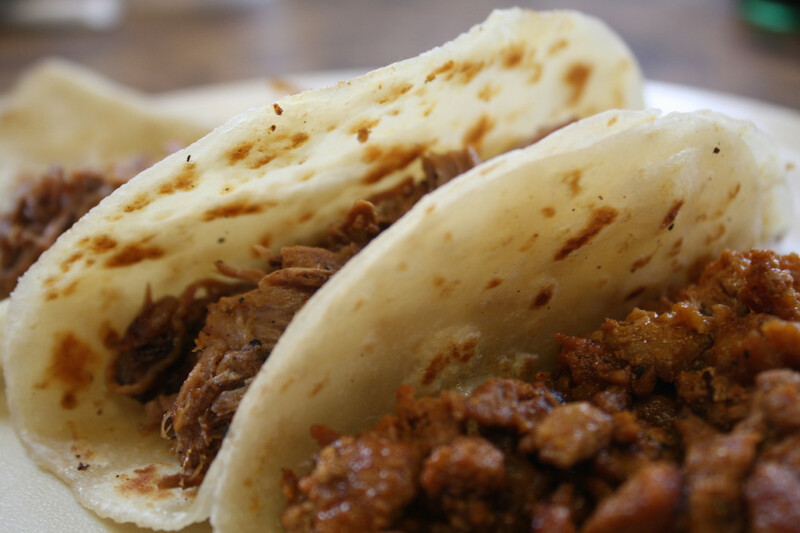 What better way to soothe our souls than cooked meat in the buttery glove of a tortilla? 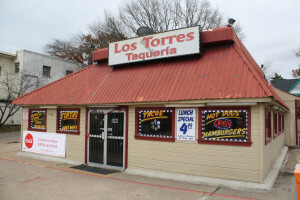 Los Torres Taquería is on the corner of Edgefield Avenue and Clarendon Drive, a corner that could be in almost any Texas town. Across Edgefield is Winnetka Elementary and across Clarendon is a washateria. Caddy corner from Los Torres is a magnificently weathered old building with green tile shingles where a sign announces the Texas Body Shop and a group of old cars huddle under the porte-cochère of Pancho’s Auto Repair. Only the early twentieth century, three-story apartment building littered with cats suggest you’re present in the big city. 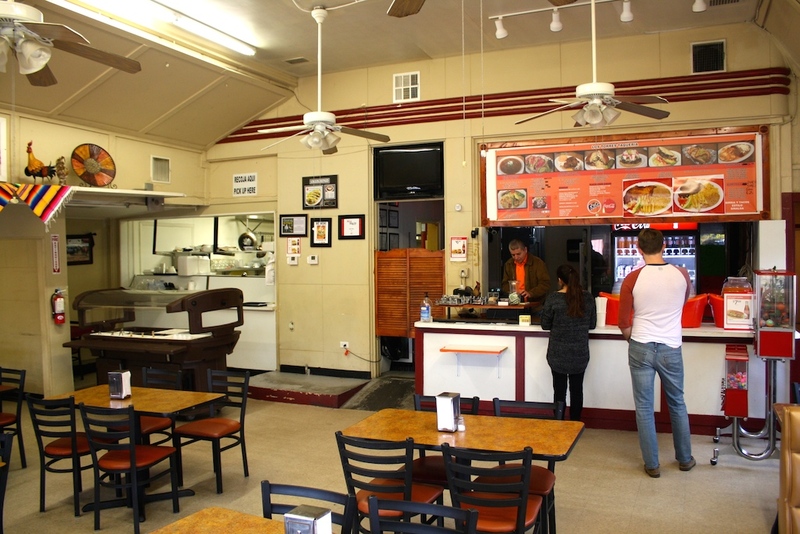 Inside, Los Torres is clean and plain, belying the savory action occurring behind a counter that partially obscures the kitchen. Just as the holy trio of sausage, pork ribs and brisket are the frequent barometer for barbecue joints in Texas, I can be inclined to judge a place by the quality of their pastor, barbacoa or fajita but Los Torres is different from your typical taquería. Birria, Barbacoa, and Cecina tacos from Los Torres. Embrace the goat. Los Torres offers bírria, goat meat that’s shredded and stewed in spices and comes out impossibly flavorful. Also order the adobada, crumbles of pork meat that resemble al pastor in texture but at Los Torres almost has a nutty profile. Eat the bírria first. Though the meat will remain tender as it cools, the juices seep out onto your tortilla and plate, and I can in good faith condone you licking your plate in this upstanding establishment, no matter the temptation. If you’re not counting change, hell even if you are, forego your next trip to laundry machine and splurge on the handmade tortillas. For an extra quarter, both maíz and harina are excellent. 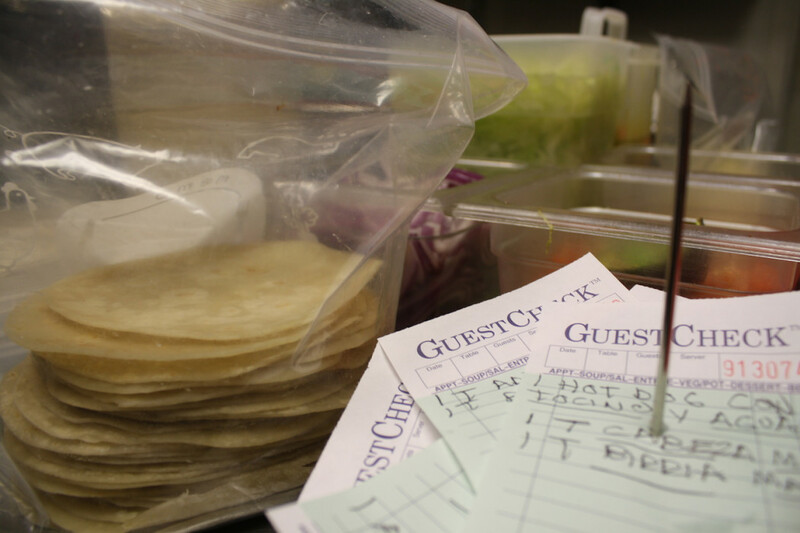 Behind that kitchen counter, the tortillas are balled up and pressed to order. 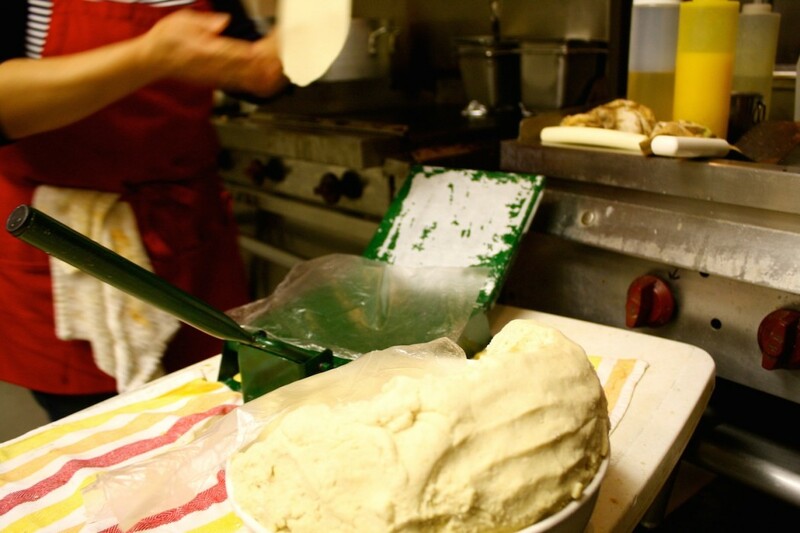 Rather than just a wrapper, these tortillas are integral parts of the dish- fluffier than the pre-packaged variety and without any of the dryness or rubbery quality that plague some selections. In addition to tacos, Los Torres serves a sumptuous torta- order tacos for yourself but find a friend to split an adobada torta with, too. Finally, try a sope, a fried masa cake topped with lechuga, frijoles and the meat of your choosing. Thinking myself a purist, I was a bit disappointed to see a salsa bar when I walked into Los Torres for the first time. An authentic taco comes with just chopped onions and cilantro, salsa and a lime, right? 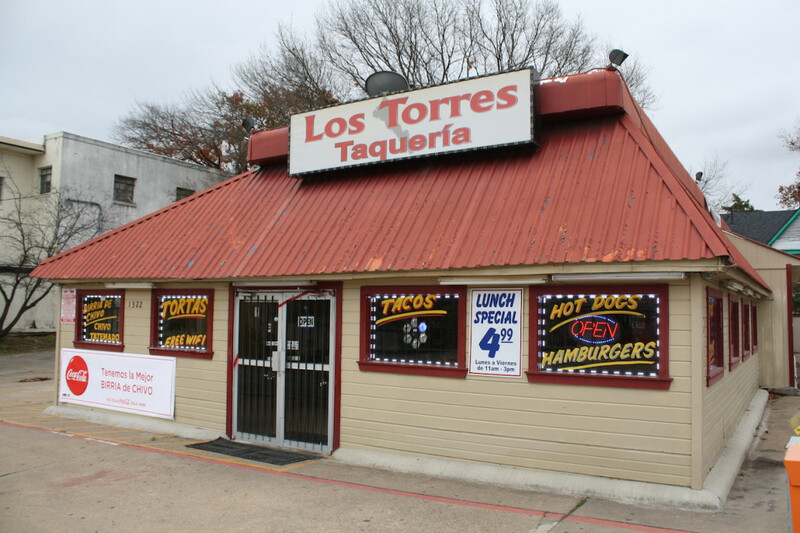 There may be beauty in simplicity, but Los Torres offers the fixings to doctor amazing taco concoctions. A creamy green salsa offers considerable heat while you can see the black flecks of smoked peppers in another. 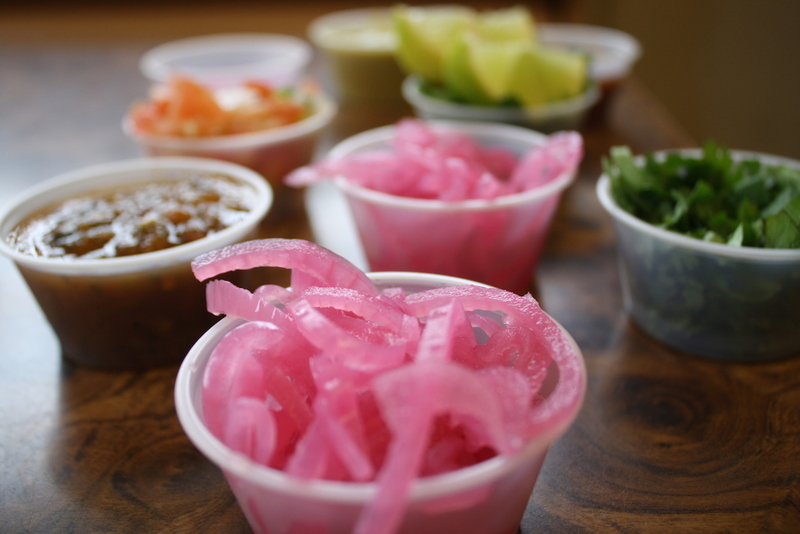 A colorfully spicy pico de gallo and the striking fuschia of the pickled red onions only increase your visual appetite. If the offerings at the salsa bar aren’t enough, ask for the orange salsa kept behind the counter. The sauce is hot enough to require a disclaimer from the proprietors but a responsible dab on your taco will add a smooth yet peppery flavor with a slow burn to each bite. 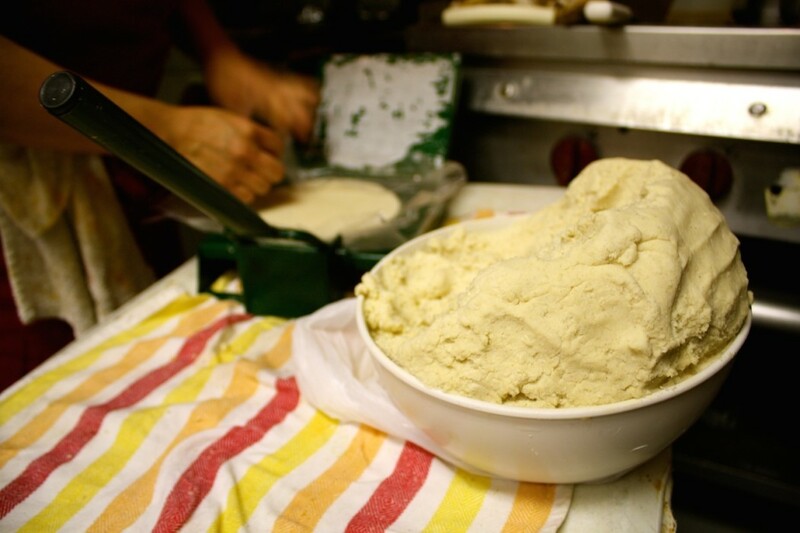 If some of these dishes are unfamiliar to you, don’t fret greenhorn. 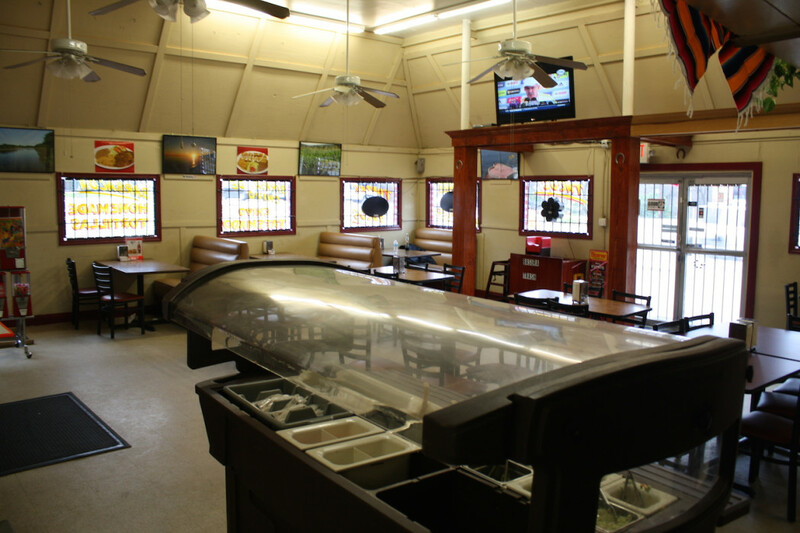 The family that owns and operates Los Torres hails from Sinaloa, and the food they prepare is native to that coastal state and others from southwestern Mexico like Jalisco and Zacatecas. Mexico has incredible ethnic, cultural and accordingly, culinary variety, which we are now just getting properly introduced to in Texas. We learned to ply a mean enchilada around here a long time ago, but the arrival of cuisines from parts of Mexico further afoot are still fairly new. The banana leaves of the Yucatan, the exotic street foods of D.F., the mariscos Veracruzano continue to enrich Texan gastronomy and are worthy reminders that, just as Texas barbecue and North Carolina barbecue are worlds apart, our simple, hearty prairie diet of beans and beef and cheese in Tex-Mex are only a sliver of what one of our other six flags brings to table. Our access to these cuisines is definitely one of the coolest things about Texas, the bírria at Los Torres especially.